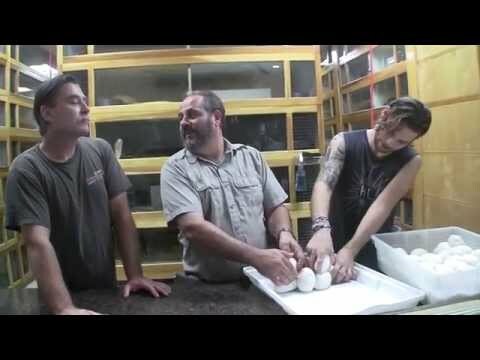 YouTube - Jay and Tim cut a clutch of reticulated pythons, but they don’t know which male was the father. YouTube - Jay and the crew at Prehistoric Pets cut an awesome clutch of reticulated pythons that was fathered by one of six males—which one will it be? YouTube - Jay and Tim cut a reticulated python clutch that may have been fathered by two different males. 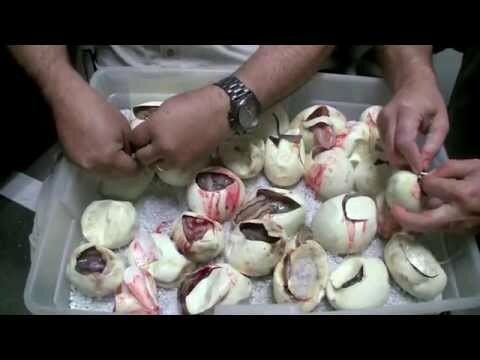 YouTube - Jay Brewer hits some amazing odds when he cuts a clutch of reticulated python eggs that contains the possibility of producing 256 different morphs.